CSP was so excited to watch his beloved Minnesota Vikings beat the Carolina Panthers. 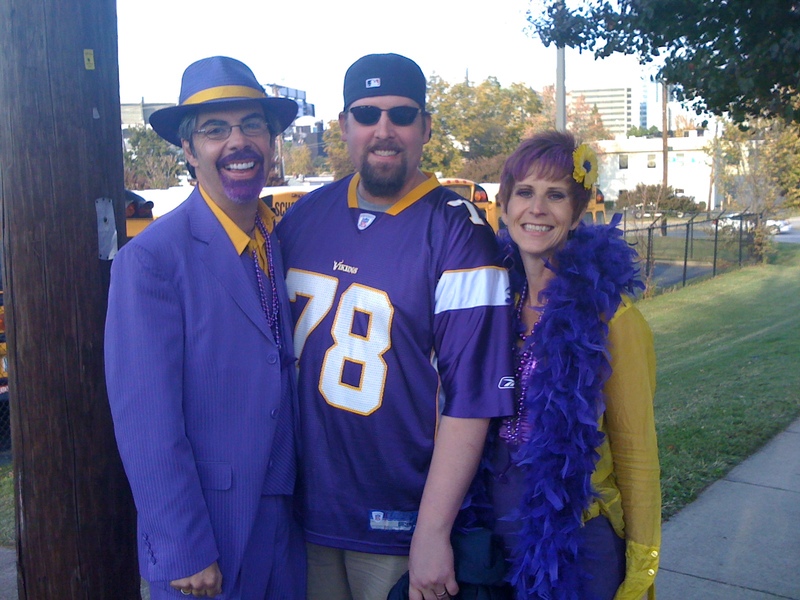 There were quite a few Vikings fans in Charlotte today, including these two friends of Papa’s who posed with CSP for a picture. Now that’s dedication!